The SCHEELS shopping experience is like no other. Service Shop with mechanic expertise ranging from bike repairs and skate sharpening to ski and snowboard waxing. Barnett Certified Technicians. 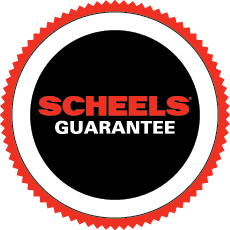 SCHEELS is a privately held, employee-owned company that remains an industry leader due to its empowered associates, leaders, and partners who think and make decisions for both their individual store and the entire company. If you have a question or need help with your account you can Contact Us to assist you.